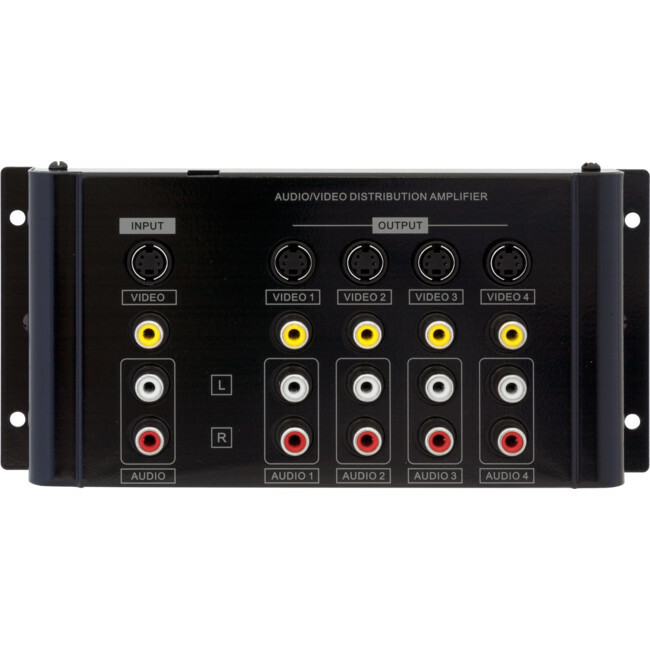 This audio video distribution amplifier lets you split video and stereo audio output signlas from a DVD, VCR, or other video sources without any signal loss. You can send video and stereo audio signals to as many as four other TVs or VCRs. You can also maintain picture quality when driving up to four TV monitors from a computer equipped with seperate audio and video output (composite) jacks. Or you could make up to four copies of your favourite camcorder tapes simultaneously.